Discmania TD2 now available in G-line material! This driver is best suited for anyone seeking to get more distance with less effort. The TD – Rush, well known as one of the most versatile drivers in the game, gets reinvented in the form of TD2. 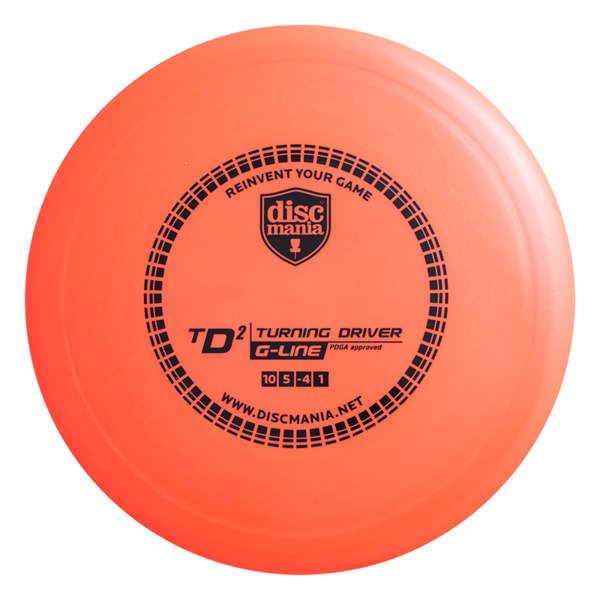 The TD2 is by far the most understable disc in the Discmania line-up with it’s high speed turn value of -4. Packed with a great glide, this disc is easy to throw far with a little effort. Awesome for rollers and long turning shots for intermediate to pro players.